Starting from the North-West region of Russia with a visit to the splendid St. Petersburg and beautiful Karelia we move to the central part of European Russia and explore vigorous Moscow and ancient Golden Ring towns. Our trip continues to the Volga River, the largest river in Europe, our Mother Volga as Russians call it. We will see this magnificent river twice – in Nizhny Novgorod, the largest city in the Volga region, and later meet it again in Kazan. The train will take you to the Ural Mountains, the oldest mountains in the world bordering Europe and Asia, where we visit Perm town and Kungur ice caves. Returning to the East European plain, we travel to the capital of Tatarstan Republic - Kazan, the city where Orthodox and Muslim cultures elegantly twist together. Finally, we come to the south of Russia and gorgeous mountains in the Northern Caucasus where you will feel the authentic southern culture and life. 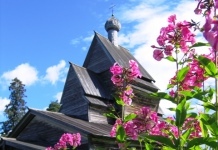 The route allows visiting the most interesting places in Karelia and Russian North. We will visit such certain must haves as Valaam and Kizhi but also go off the beaten track to meet local people. During our stay on Solovetsky Island we’ll see that the Solovetsky Archipelago is not just Solovetsky Moastary and political prison camp but also a unique reserve of severe northern nature that makes a mash on you. 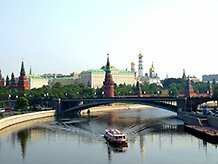 Our tour starts in Moscow, the capital of Russia and passes through the majority of the Golden Ring towns finishing in St. Petersburg. Though the latter is not a part of the Golden Ring route, we are sure you will enjoy this splendid city, the former Russian capital as well. 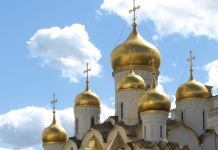 This short trip will suit those travelers who visit Russia for the first time. You will visit the two main Russian cities Moscow and St. Petersburg as well as one of the oldest Russian cities – Yaroslavl. This trip is designed to visit and explore two main Russian cultural, economic, industrial and political cities - St. Petersburg and Moscow. Although both cities have always been of great importance to the country, have witnessed great historical events and both are very beautiful, they are so different inside that are almost impossible to be compared. If you are interested in Russian history, this program is for you. During the trip to Moscow, Novgorod and St.Petersburg you will get an opportunity to see three great cities which had played and important role in different periods of time and are still the main industrial, commercial and cultural Russian cities. This route is off the beaten track. 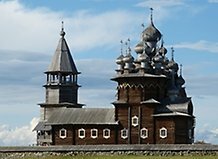 We will explore the north-western part of Russia and Karelia to see interesting places which are not frequently visited by tourists. We will visit small towns and villages, find hidden ancient monuments lost in these settlements, stay in local houses and learn about various ethnic minorities inhabiting these lands. We will hear local stories told by Russian and Veps “babushkas” and learn how to enjoy real Russian banja. You will experience true Russian hospitality! The city is pretty young comparing to the majority of European cities. It is only a bit more than 300 years old, but it has its own character and certain face with long straight prospects and architectural ensembles of the 18th-19th centuries, surrounded by gorgeous suburban towns – summer residences of Russian Tsars and Emperors. Easy hiking in wonderful northern National Parks of Finland and Russia combined with exiting cultural exploration and sightseeing in Karelia and Northern Russia. 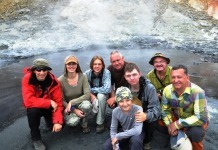 Apart from the main tourist attractions we will travel in the areas seldom visited by regular groups. There will be a chance to see real life and meet local people, try kalitki, borsch and vodka, talk to old babushkas and learn to love severe but beautiful northern nature of Finland and Russia. This trip to northwestern part of Russia and Baltic States offers a nice combination of cultural sightseeing and nature observation as well. There are places which are seldom visited by tourist groups but still offer a lot of interesting places and people to meet. We will see how different and pure is the nature of the region, feel how nice and open-heated are local people and learn a lot about their thoughts and feelings during Soviet times and after the collapse of the USSR. 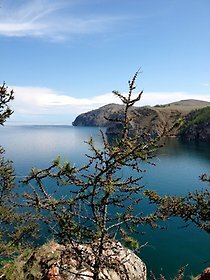 Lake Baikal is the deepest lake in the world possessing one fifth of all the world water resources. But what mainly attracts visitors from all over the world is an amazingly beautiful nature and National parks, sacred Olkhon Island, local Buriatian people, numerous sacred places for Buddhists and Shamans and of course the lake itself with it's pure cool blue water. Join our trip to learn more about this wonderful place, to learn about it's past and present, to see Siberia and talk to local people who lived their lives here together with this great Lake. Travel to the ‘end of the world’ for your new adventure in the wild East of Russia! Just beeing there is already an adventure. It is a paradoxial place: one of the most remote territories in the world located far away from your civilization. 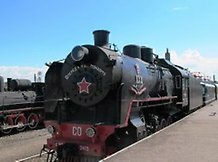 If you want to realize how vast Russia really is you must travel along the Great Siberian Way which is nowadays more known as Trans Siberian Railroad, running across the country from east to west. Siberian part of the railroad was constructed in late 19th early 20th centuries and turned out to be one of the most important industrial projects of that time. The length of the railroad from Moscow to Vladivostok is 9302 km (5780 miles) which makes it the longest railroad in the world. Besides the road is passing through 7 time zones and the whole train journey is a bit over 7 days. The other end of Russia, Kamchatka, is certainly an extraordinary place. 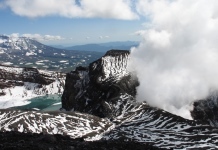 This wild remote land with a fantastic Nature is a part of the 'Pacific Rim of Fire', prone to volcanic eruptions and earthquakes. The most popular idea of discovering Siberia is to take a transiberian train and make a couple of stops. In this trip we offer you to step aside from the beaten track and enjoy the wild nature of the Tuva republic as well as visit some of the most important Siberian cities. During the tour you'll have an opportunity to see how vast Russia is and how different are its regions in cultural and natural way. You'll see the power of the Yenisei and Maliy Yenisey rivers and the beauty and clearness of the Baikal water. You'll meet people of different religions and way of livings.